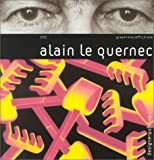 Abstract : Alain Le Quernec, Breton - and Polish by affinity - is a politically committed artist. For the past thirty years, he has been designing mostly political, social and cultural posters without making any concessions to advertising. His graphic "protests" are regularly published in the french daily, Le Monde.